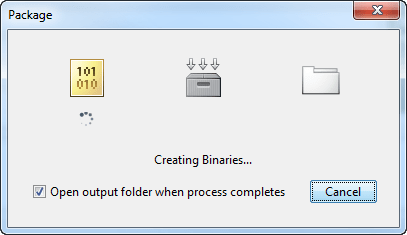 This example shows how to create a deployable archive from a MATLAB® function. You can then give the generated archive to a system administrator to deploy it on the MATLAB Production Server™ environment. Additional files required for your archive to run — Additional files required to run the generated archive. These files are included in the generated archive installer. See Manage Required Files in Compiler Project (MATLAB Compiler SDK). 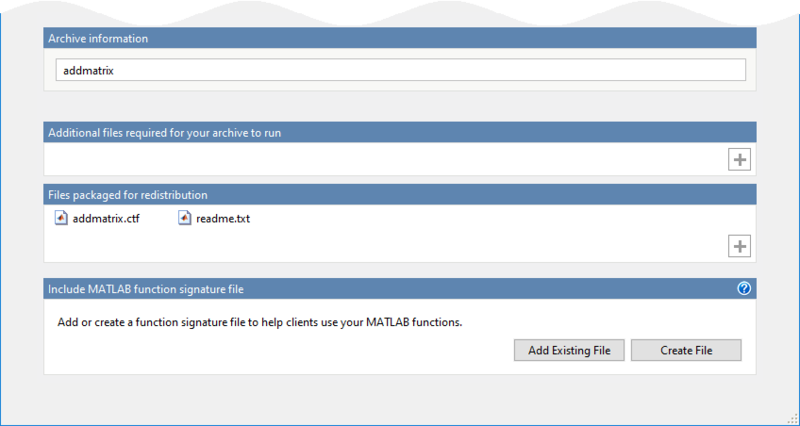 Include MATLAB function signature file — Add or create a function signature file to help clients use your MATLAB functions. See MATLAB Function Signatures in JSON.